Artist will be available for conversation. “I have been working with wet plate collodion since about 2005. I fell in love with the immediacy of the medium and how versatile it can be. It is just like using film or digital as I don’t use the process as the explanation of my images, but work on different projects that happen to work with the collodion process. A long-term project has been photographing immigrants. My family on my father’s side was forced to immigrate to the USA in 1939, they never wanted to come here, but did not have a choice. My project is a jumping off point and concentrates on people that have decided to leave their homeland after WWll, and come to the USA as a choice, but for various reasons. Still another project that is a jumping off point from the immigrants is the images of NYC. I lived in the city from 1981 – 2014 and photographed it as I walked around. 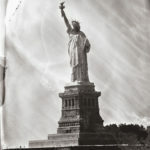 I have since taken the images, both on film and digital, and made wet plate images as an on-going theme of Changing NY. From both of these projects came another. When I don’t like the images on a given piece of glass, I would set it in my darkroom sink to clean off later on so that I could reuse the glass. I noticed that the fix and silver would deteriorate and make beautiful designs that look like constellations or the earth from above. Before I wash the glass, I scan in the “images” so that I can print them. 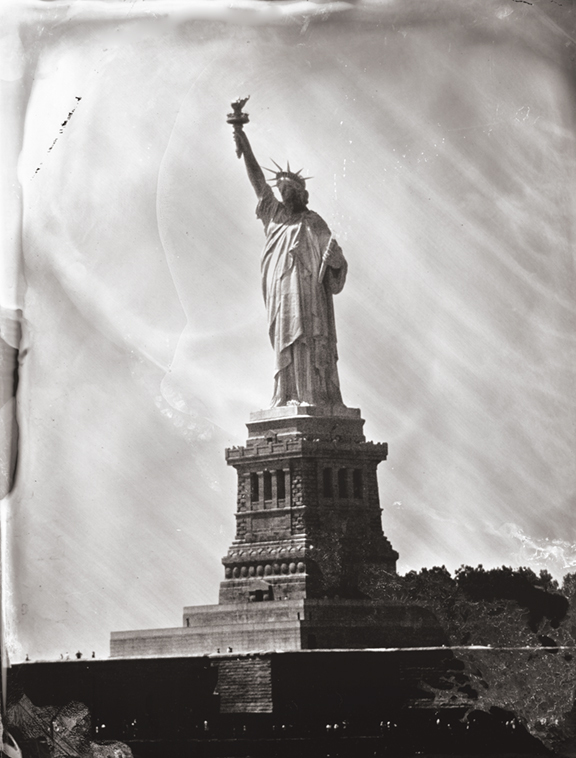 Jill Enfield, Statue of Liberty, 2008-2016, Archival inkjet print from a wet plate collodion negative. Tilt Gallery will be exhibiting works by a variety of artists at Azadi Fine Rugs in Sedona, Friday, November 4, 2016 from 5 to 8 pm. This will be a fun night full of fine rugs, fine arts, music, and Refreshments.